Toasts are a traditional breakfast dish. But they can be enjoyed throughout the day. Spread the dressing on grilled toasts. 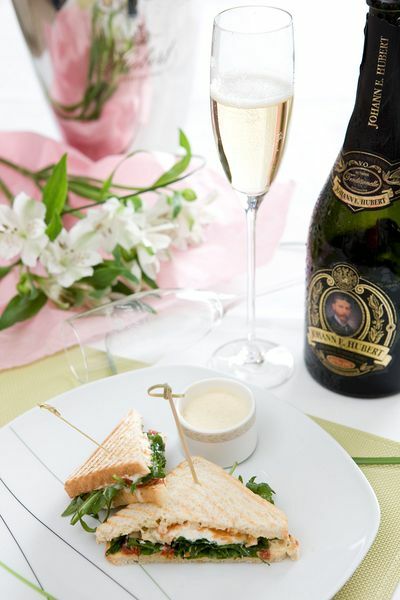 Place the rucola salad between two toasts. Slice the goat cheese and grill on maximum heat both sides (cca 10 seconds each side). Place the grilled cheese between the toasts on top of the rucola and cut each sandwich in two triangles and close with a toothpick. Johann E. Hubert extra dry.